Veneers are nearly as thin as a contact lens and are an easy, painless way to rejuvenate your smile. Veneers are very thin porcelain covers that are bonded to the front surfaces of teeth to repair cosmetic flaws. They look natural and are an easy, painless way to refresh your smile. The average lifespan of porcelain veneers is about 10 years, and with proper care, they can last even longer. With recent advancements in dentistry, veneers can be adhered with minimal or no preparation to the natural tooth. Dr. Meserkhani is a world-renowned expert in cosmetic dentistry and has been featured on Fox News for his expertise in smile makeovers. He has the advanced training and skill sets to place veneers that look beautiful and function naturally. Dr. Meserkhani attended the Loma Linda University School of Dentistry and specialized in implant dentistry and prosthodontics, the dental specialty that deals with the aesthetic restoration and replacement of teeth. He loves providing his patients with beautiful new smiles, and he will make sure that your new veneers will look natural and that they will enhance your features. Porcelain veneers can easily and effectively correct a variety of cosmetic flaws, such as those listed below. Dr. Meserkhani will discuss your smile goals with you and go over your options. 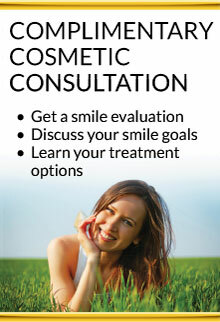 The first step is a consultation with Dr. Meserkhani. You and he will discuss your goals for your smile and review options. He will then conduct a thorough oral examination and digital X-rays and impressions will be taken. The impressions are used to create a study model, a three-dimensional model of your mouth that is used to preview the proposed changes to your smile. Dr. Meserkhani has placed thousands of veneers and draws upon this experience to carefully design the shape and size of your veneers, so that they rejuvenate your smile while complementing your natural teeth. Dr. Meserkhani works closely with our in-house lab to create a custom shade that works beautifully for your smile. Our lab uses materials such as Feldspathic porcelain, which has a translucency that closely matches that of real teeth. Dr. Meserkhani recommends veneers as the solution for correcting minor aesthetic flaws because they are both durable and resistant to stains. However, in some cases, a quick, inexpensive alternative is dental bonding. Dental bonding is the application of composite tooth-colored resin to the surface of the flawed tooth. The resin is hardened with a UV light and then carefully sculpted to complement your natural teeth. Although dental bonding is an affordable option, it is not stain-resistant or as strong as a veneer. Dental bonding needs to be reapplied over time, and the additional shaving of the tooth surface can weaken a tooth, making this a short-term solution for correcting flaws.